Celtic Clan ...Now booking weddings for 2019...Yours will be the wedding they all remember..for the RIGHT reasons! 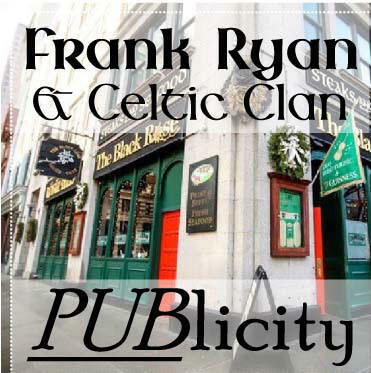 Also booking Frank for wedding "Happy Hours" on Guitar,Fiddle,Vocals,Tin Whistle. New CD on the way "PUBlicity"....stay tuned...unlike our instruments! Billy Hardy....Fiddle,Vocals...from Cape Cod,Billy plays all fiddle-styles with equal flair....Billy also played with Frank in Korea,Caribbean and Nation-wide in the US....Billy also is the founder-member of "The Cape Cod Fiddlers" as well as teaching fiddle on the Cape. 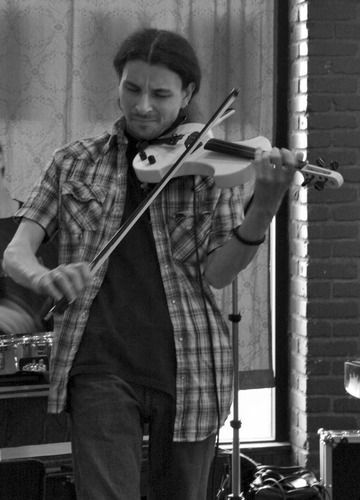 Jozef Nadj.....Bass,Vocals....Jozef is a highly regarded Jazz Violin teacher at the famous Berklee College of Music in Boston with students coming from all over the world to attend his classes....a multi-instrumentalist equally at home on Bass,Lead-guitar and of course Violin. CONGRESSMAN JOSEPH P. KENNEDY . THE INN ON 5TH AVE. NAPLES FLA.
MAKEM & CLANCY (OPENING ACT). MAURA O' CONNELL " "
THE ABOVE IS JUST A BRIEF SELECTION OF THE MANY AND VARIED VENUES AT WHICH CELTIC CLAN HAS PERFORMED.